When being charged upwards of $4 for an average takeaway coffee, you’d hope it would hit the spot each time. Nothing gets my day started off on the wrong foot like buying a coffee to only be disappointed in the hot, brown water mix I’ve often been given. As this began occurring more frequently, I started to think – was it worth gambling away my $4 every day when I could make my own instant coffee at home and at least know it wasn’t going to be horrible? I had seen my friends with elaborate coffee machines who were very proud of themselves as they ground the beans and created a cup of coffee, which in their minds was unmatched by any takeaway they had ever purchased. This got me thinking about the possibility of breaching this unknown world of being my own barista. After sifting through websites, I started to compare various models and brands to see what would give me the best coffee while still being easy to use in my pre-caffeinated state at 5am each morning. Saying that I was astounded by the variety of choices is an understatement. Visit Harvey Norman to see their extensive range of Coffee Machines from Nespresso, Sunbeam, DeLonghi and more and you’ll see what I mean. Ranging from $60 through to $6120, I now knew that this was not going to be a quick comparison. I decided to narrow my vision to a middle-of-the-range coffee machine which would make a decent coffee without all the extra add-ons I wish I could afford. This landed me in about the $650 price tag and I was curious to see what that kind my money gets me. 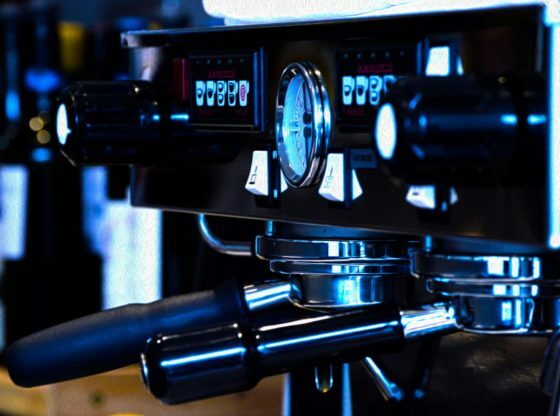 The Sunbeam Barista Max Espresso Machine possesses an integrated burr grinder with over 30 different settings, ensuring the beans are ground to a uniform size. This, along with the Temp IQ Shot Control makes certain a constant temperature delivers on optimal flavor. A simple touch lets you control the shot volume settings for those mornings you might need an extra boost…or two. Encased in stainless steel, the DeLonghi Magnifica S Coffee Machine showcases a sleek design with a system to match, generating intense glossy froth with each cappuccino and latte brewed. Possibly the most impressive, is its silent coffee grinder. No more half-ground beans from having to shut it off mid-grind after facing backlash from the sleeping housemates over in the other room. Finishing with an aroma saving cover for your cupper, the true excellence of your coffee is safeguarded until you’re ready to enjoy it. Again, this model has an ease of use that even I am capable of operating through its intuitive control panel. The one stand out is by Nespresso which employs an advanced capsule system to deliver on great taste and quality. Click here to view the Nespresso Creatista Plus which has over 7 different coffee recipes that gave me more choice than I could have dreamed of. Not only can you meet a variety of tastes, but I feel encouraged to explore my own knowledge of coffee. The TFT interface means that the huge capability of this machine is easily navigated at the touch of a button. 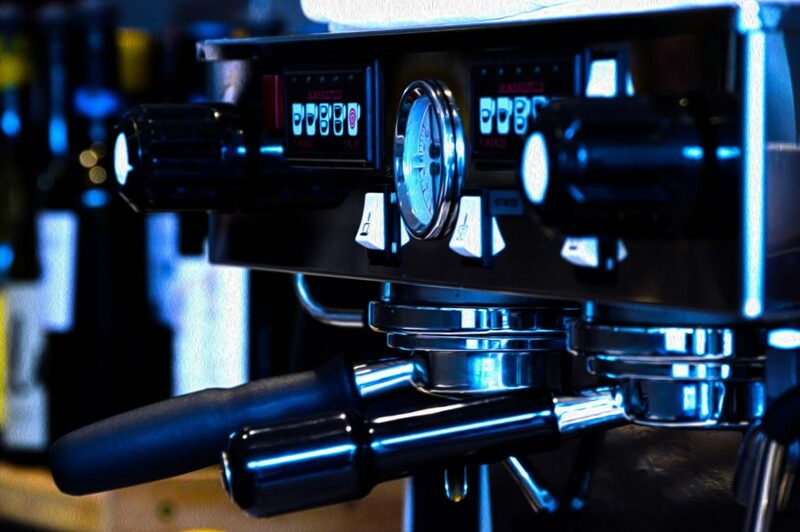 Another stainless steel design encompasses eight different settings in the automatic milk texturing feature, allowing you the pleasure of perfect milk levels for lattes and cappuccinos. It has the ability to heat up in three seconds with 19-bar pump pressure giving you a rich velvety taste even on the occasions where time is getting away from you. The comparison of these brands and models showed me that in a world of coffee connoisseurs, I was being left behind with my instant sachets and boiling water. While Sunbeam and DeLonghi promise to deliver on a silky brew, my interested peaked with the Nespresso Creatista Plus. With a competitive price and specs which invite me to broaden my love for coffee, it really does become a case of Nespresso vs the rest.